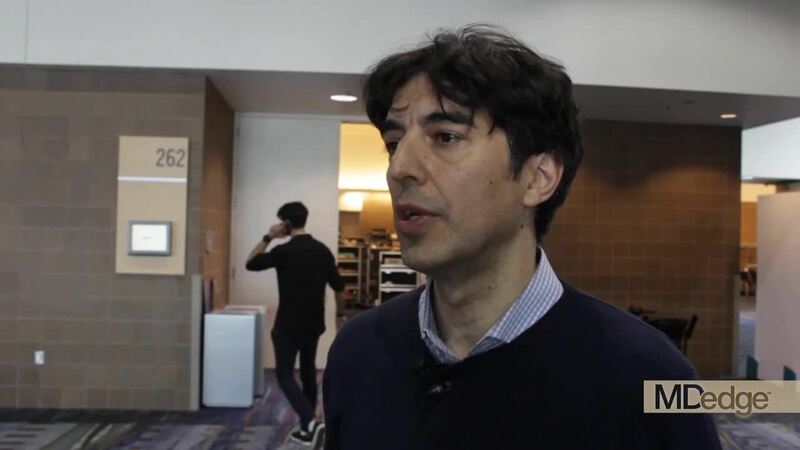 NEW ORLEANS – Can a physician-supervised, intermittent fasting strategy improve metabolic risk? Yes, according to Valter Longo, PhD. “If somebody is obese or overweight, and has high cholesterol, high fasting glucose, and is perhaps prediabetic, then a doctor may decide to do the diet once a month for 5 days, and for the rest of the month, the person can go back to whatever it is that they do,” he said in a video interview at the annual meeting of the Endocrine Society. “We think we are going to see more and more of this approach in the future,” said Dr. Longo, the Edna M. Jones Professor of Gerontology at the University of Southern California, Los Angeles. A clinical trial with about 100 patients showed improvements in many metabolic markers after 3 months of a once-monthly, 5-day cycle of the low-calorie diet, which includes some healthy fats from olive oil and nuts. Fasting blood glucose, blood pressure, and insulinlike growth factor 1 levels and other metabolic markers were all reduced in the randomized crossover trial after 3 months of the diet plan. Dr. Longo noted that in the clinical trial, effects were more pronounced for individuals with a higher risk for disease. Dr. Longo has a majority stake in L-Nutra, which markets a commercially available fasting-mimicking diet package. He donates his proceeds to a nonprofit corporation he founded.